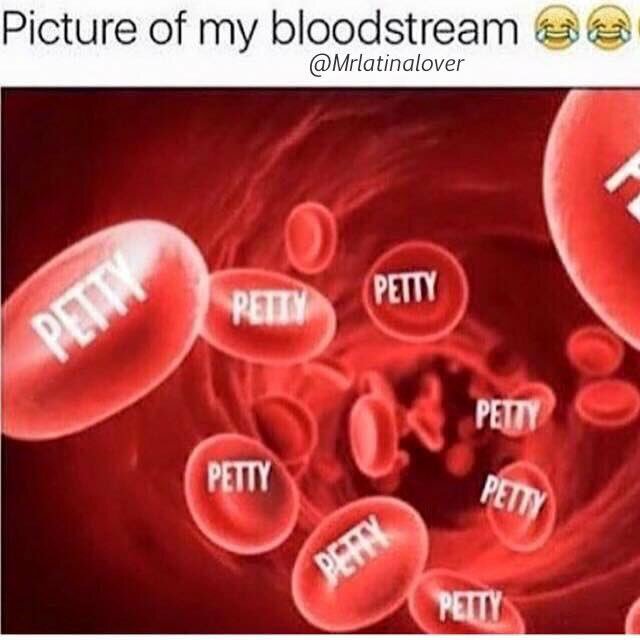 “Petty” isn’t a character trait, it’s a way of life. Sure, you could always choose to be the bigger person and let trivial matters go. You could choose to live and let live, or choose to stay in your lane and mind your own business … But where would be the fun in that? 21.) When your friends are trying to help you get over your pettiness, but you try and fail every time. 20.) At this point, you just have to accept that you were born this way. 19.) Or maybe you were raised that way. Either way, it’s a part of you who are. 18.) You’re not too worried about your pettiness anyway, it turned out well for Blac Chyna. 17.) When you check the weather and realize that every day is 100% chance of shade. 16.) When you have no time for baes who won’t respond to you in 5 seconds or less. Currently a UCF student, a ZTA, and a frequent customer at Dunkin Donuts. I like to write things.